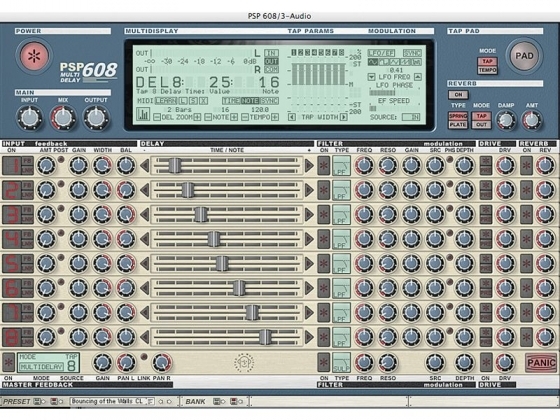 PSP stompFilter is a creative tool designed to provide an exceptionally wide range of modulated filter and gain sounds (VST, AAX and RTAS for Windows; AudioUnit, VST, AAX and RTAS for Mac OSX). Its effects include a simple LFO-modulated low pass filter; auto-wah; low-, band-, or high-pass filter; and compressor. 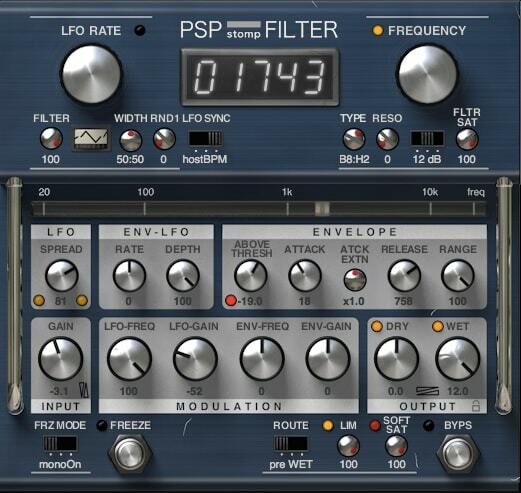 Thanks to the smoothly adjustable filter type and flexible cross-modulations of the LFO by the envelope of the signal, PSP stompFilter is able to provide vivid, expressive filtering. Just a pinch of adjustable LFO randomization will provide analog-like "imperfections," ensuring that you will never get bored of it. 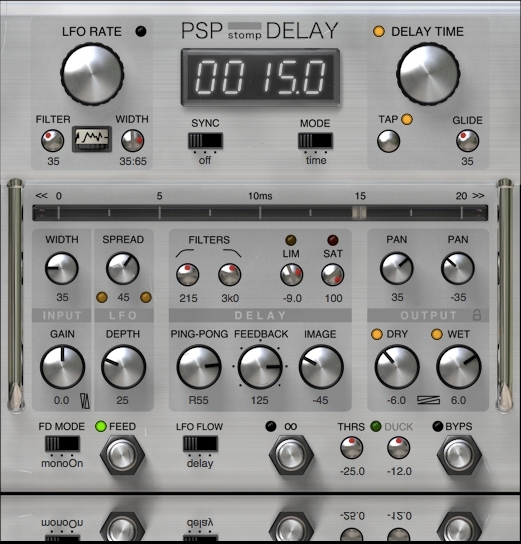 PSP 608 MD is perhaps the most fully featured delay plug-in available on the market (VST, AudioUnit, RTAS and AAX format for Mac OSX Universal Binary and VST, AAX and RTAS format for Windows). We have striven to offer you a creative tool that is not only functional, but inspiring. Each tap has selectable feedback, stereo image and position, delay time, multimode filter, modulation, drive/tape saturation, and reverb. PSP Audioware has reintroduced the PSP 2445 EMT, a reverb processor effect plugin inspired by two legendary early digital age reverberators: the EMT 244 and the EMT 245. 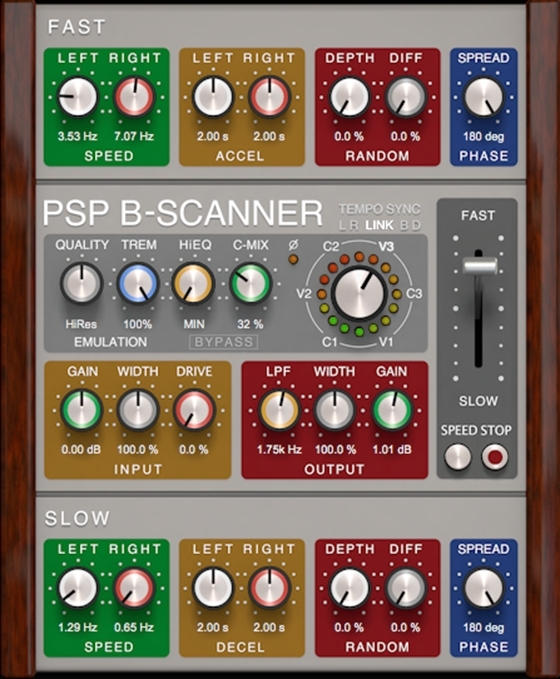 PSP B-Scanner is an emulation of the analog scanner-based effect available in the most sought-after models of vintage Hammond® tonewheel organs (such as B-3, C-3, A-100 and others). Although the PSP B-Scanner has been meticulously designed to recreate the classic sound of the Hammond® B-3 Vibrato and Chorus, it offers a wide range of options allowing you to maximize the potential of this unique effect. 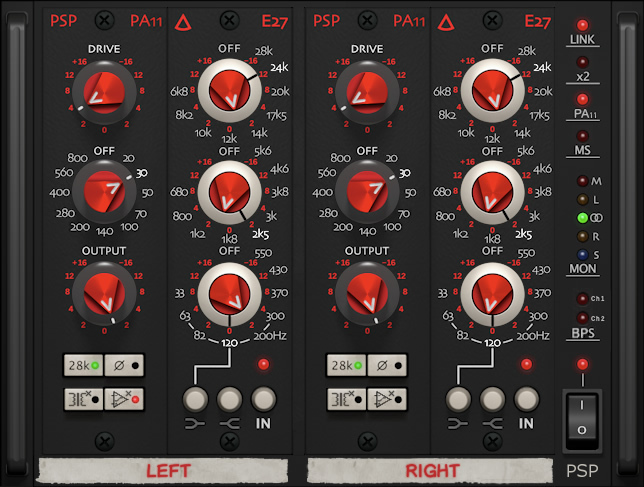 PSP Audioware has released version 1.0.2 of PSP E27, a multistage equalizer plugin modeled after the analog equalizer E27 produced by Avedis Audio Electronics.